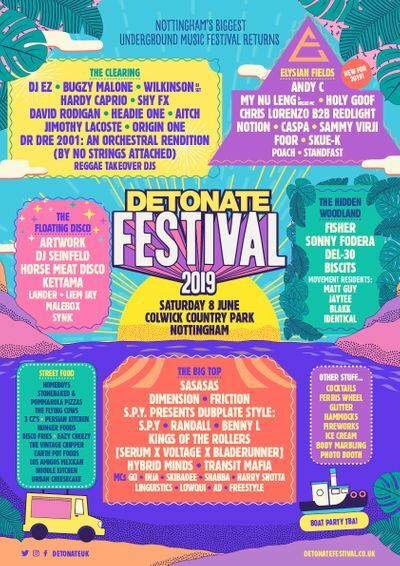 Along with Coki and Loefah, Mark Lawrence aka Mala founded the label Digital Mystikz (DMZ) just over 8 years ago, the inception of which is widely regarded as one of the most pivotal moments in the history of dubstep. Mala and Coki soon became renowned for their haunting sounds and soon picked up wide acclaim. Since the label founded, it’s gone from strength to strength and has dominated the scene for nearly a decade. The success of the label is epitomised by bi-monthly DMZ events, which are regularly hailed as one of the most successful regular club nights around. In September 2012, Mala cemented his title as one of dubstep’s most esteemed artists with the release of his album ‘Mala in Cuba’; a 14-track record which features collaborations with a host of Cuban musicians who he met on his two separate visits to Havana. Fortunately, Mala succeeded in avoiding many of the pitfalls which can often be associated with doing a collaboration-based album. The album retains Mala’s classic evocative haunting style, particularly on the album’s most notable track, ‘Cuba Electronica’, but also offers up several bass-heavy tracks, such as ‘The Tunnel’, which will no doubt be a favourite when played in his live sets. The co-founder of Digital Mystikz has always been praised for adding life and variety into what is often perceived as a dying genre, and this album certainly reiterates that statement. It’s indisputable that the majority of artists who are in the same ilk as Mala would be incapable of producing such unique and distinguishing tunes. Mala’s ability to mix things up and keep his style fresh is highlighted on numerous occasions in this album. ‘One-dimensional’ certainly isn’t a phrase that can be used to describe this artist. For example ‘Curfew’ begins with a jaunty piano riff whilst ‘Calle F’ features a vibrant trombone that resonates over the cluttered beat. Similarly, ‘Change’ is another example of the producer’s extreme breadth of talent, as it sees an entirely different avenue being explored, and explored to aplomb. One of the album’s bonus tracks, Noches Sueños, again represents Mala’s ability to mix things up and features the vocals of Danay Suárez. DMZ’s 8th birthday, which took place in March, epitomised Mala’s domineering presence in the genre with the event selling out completely in advance. The event was a celebration of the prominent label, and featured other notable artists, including Loefah, DMZ’s other co-founder. As long as Mala is around, dubstep doesn’t look like showing any signs of needing resuscitation just yet. Catch Mala at Detour on June 11th.